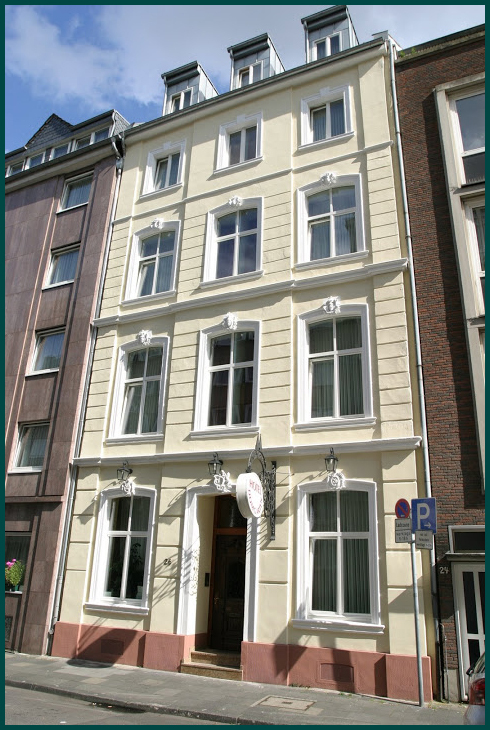 Our Grade II listed house is situated in a central yet quiet location just a few steps from the Central Station, Cologne Cathedral, the historic old town and not far from the Cologne trade fair centre. We are particularly proud of the fact that since the opening of the Hotel Domstern many of our guests have returned time after time. They stay with us regularly because they appreciate the atmosphere and the personal service of our City hotel, right in the heart of Cologne! Our small, family-run house, which was completely renovated in 2005, offers a total of 16 non-smoking rooms. On several travel websites, we have been voted by our guests in the top group of hotels in Cologne! These awards are our joy and encouragement, but they are also an obligation. We would be delighted to have you as our guests and friends in our home and with our personal service we hope to convince you to return!